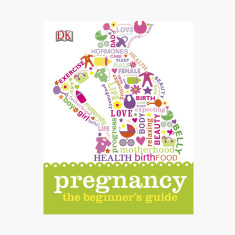 DK Pregnancy: The Beginner’s Guide Handbook | Multicolour | The Beginner's Guide specially packed with to-do lists. Packed with to-do lists, this practical handbook is meant for first-time parents. Offering a range of useful advice, right from what to eat to how to exercise, this handbook provides a spectrum of suggestions and helps you prepare for your little bundle of joy. Feature 1 : The Beginner's Guide specially packed with to-do lists.